Simple Garters can be double line, single line, or a two color single line garter. With two color garters, the gather can be towards the top, as shown above, or at the middle of the garter (towards the top is the default style, unless otherwise requested). 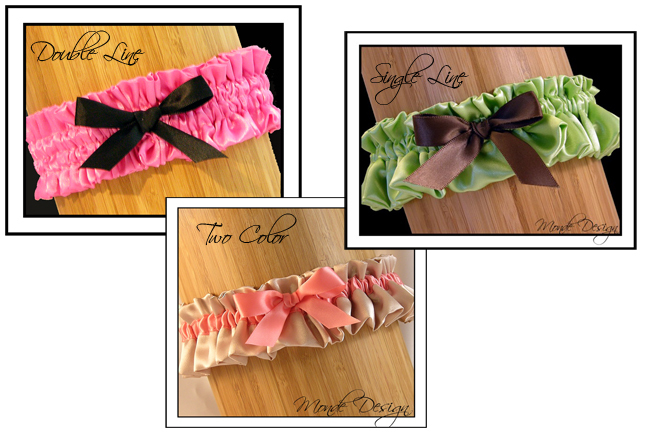 Two color garters can also be done with two colors of satin as well, using one color on one side, and another color on the other side (either top to bottom, or left to right). 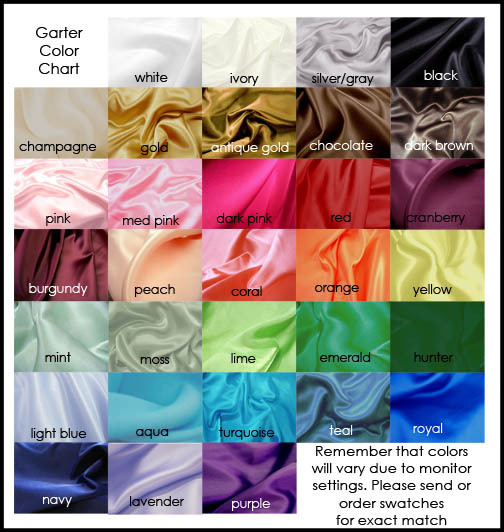 If choosing a two color garter, please select "Two color" in the color field, and then put the two colors you would like in the order notes. Please note...if ordering two or more identical garters, please add them to the cart individually, instead of changing the quantity.